falencia08 has no other items for sale. 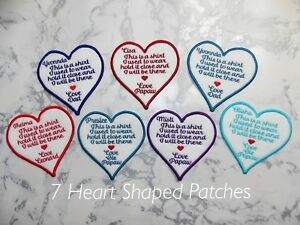 Heart Memory/memorial patch. "This is a shirt I used to wear, love Grandad"
Fast delivery. Amazing quality, always updates. Wouldn’t go anywhere else.